European craftsmanship at an affordable price. 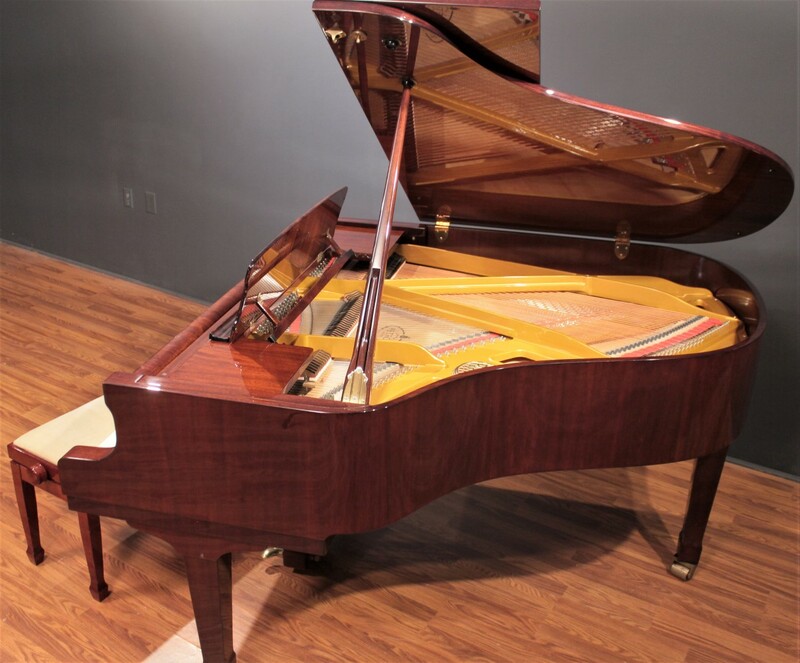 This attractive Petrof 5'7'' grand piano, Model IV, is a lovely addition to our showroom. 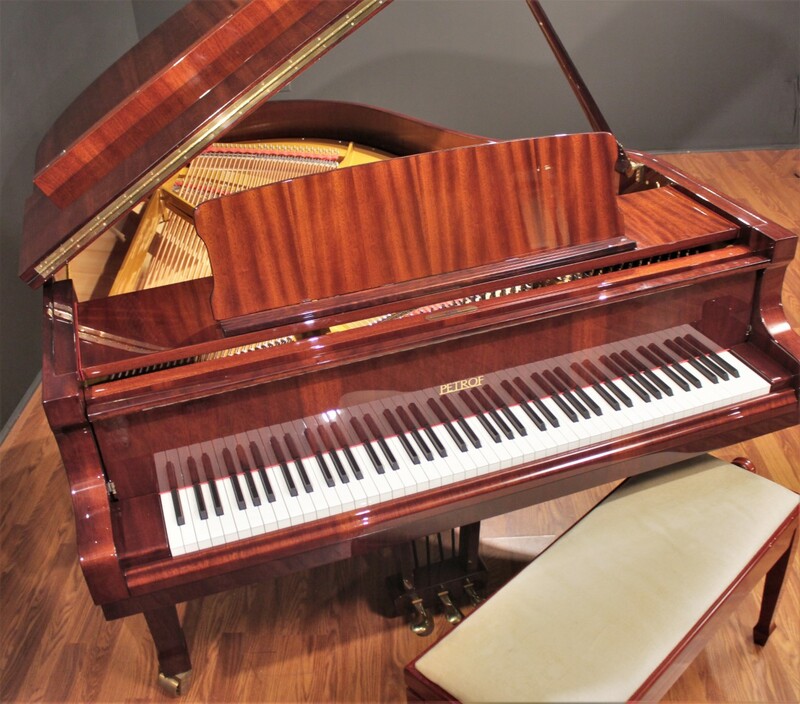 It bears all of the trademarks of a high-quality European piano, showing remarkable attention to detail. 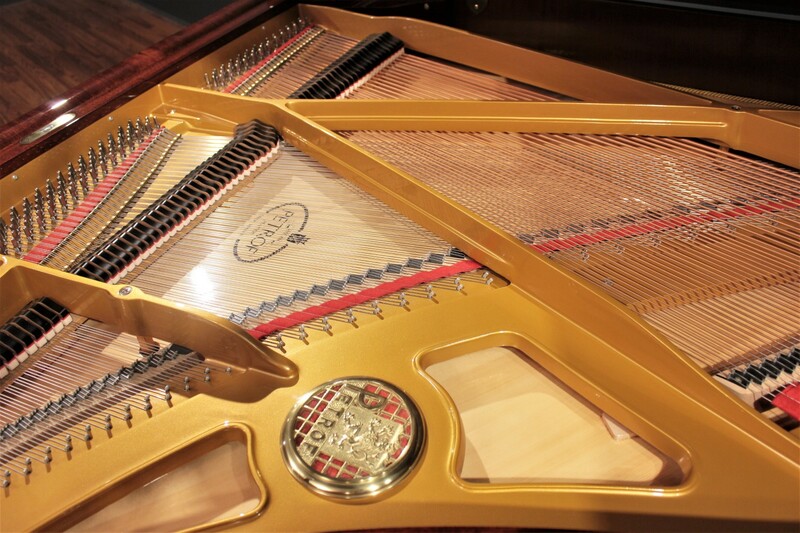 It is an instrument that is worthy of a serious pianist or anyone who appreciates fine European craftsmanship. 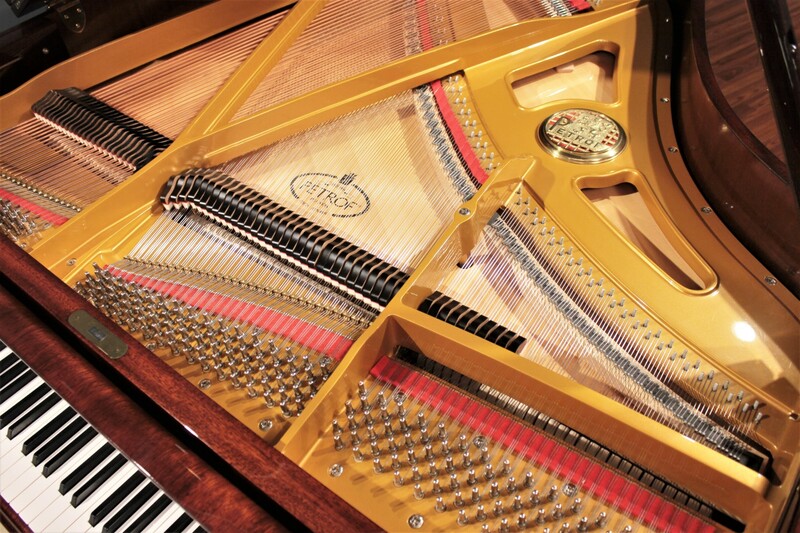 Acoustically speaking, grand pianos which are 5'7'' to 6'1'' in length are almost ideally sized for an even, balanced tone across the entire instrument. Large enough to accommodate bass strings that give the instrument power, volume, and fullness, but not so large that the bass overpowers the treble register. It's optimally sized to give you the smoothest, most even transitions from the very bottom to the top. You're going to love it! 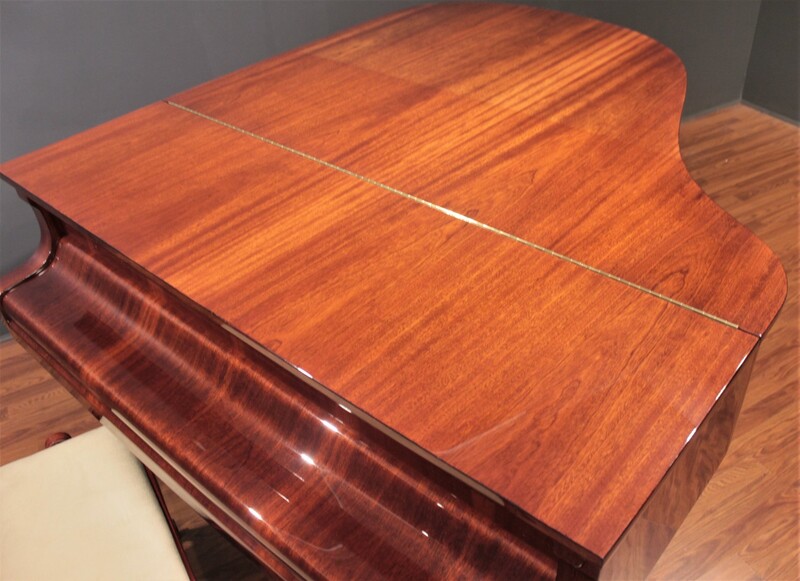 This piano's gorgeous mahogany cabinet will make it a striking addition to any setting. 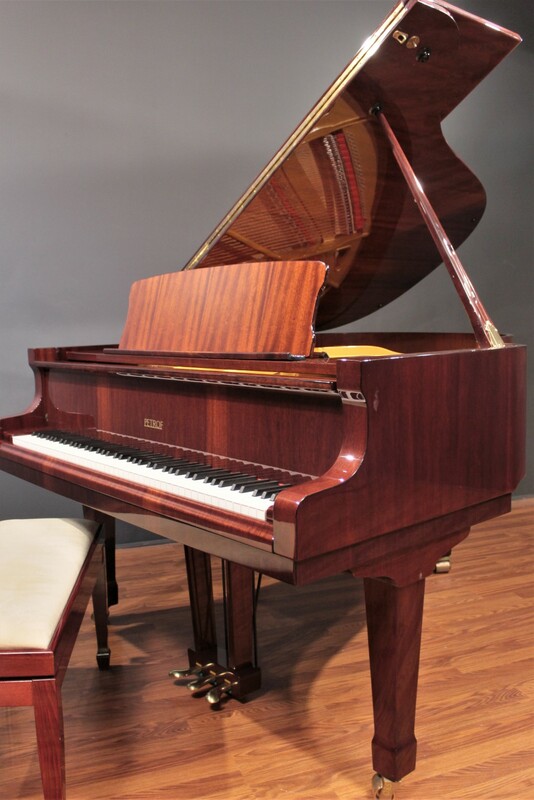 Take this opportunity to own a quality European piano for a fraction of the cost of a comparable new piano. You'll be glad you did! 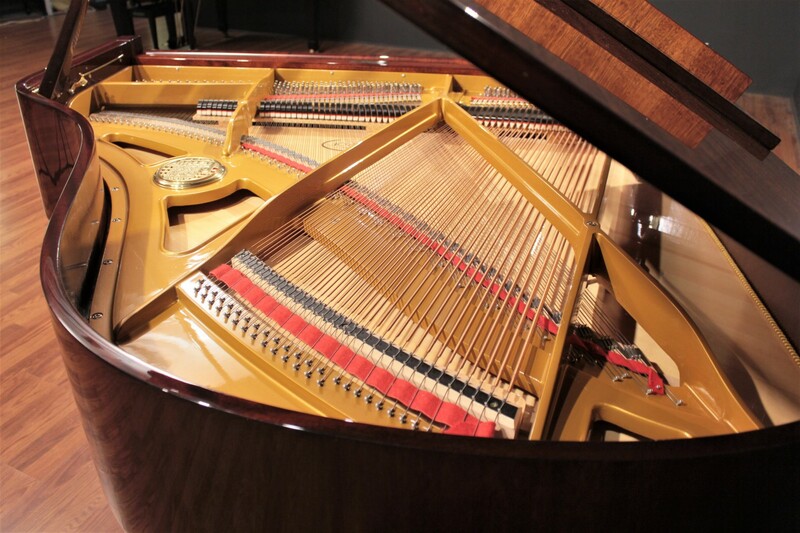 We have been producing upright pianos and grand pianos with unmistakable sound and design for you since 1864. 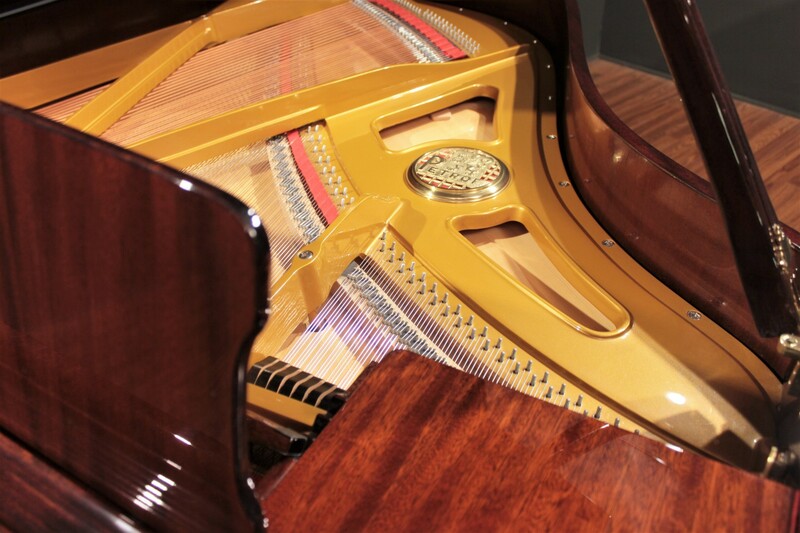 Our production programme includes a wide range of products from top master pianos for big concert halls to upright pianos for music schools and home interiors. 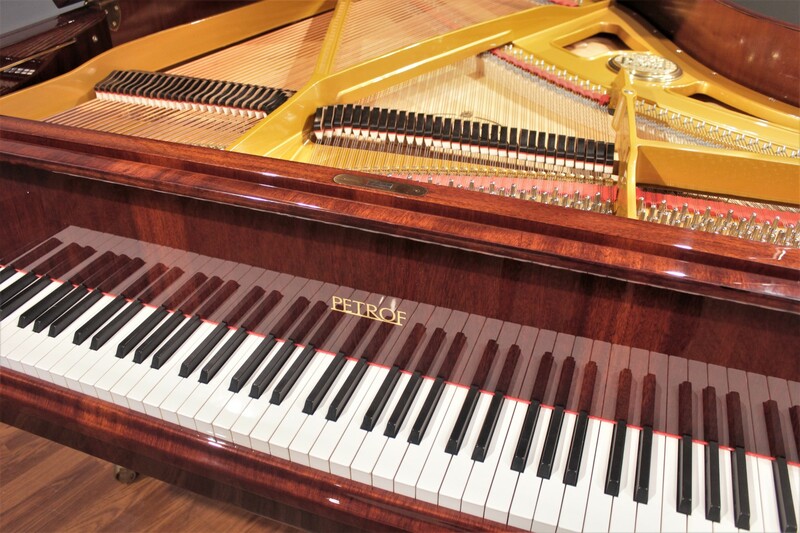 "Our goal is to produce beautiful and reliable pianos, that will bring joy and pleasure to every pianist who plays them." Our instrument production is based on traditional techniques done by hand with focus on the resulting tone colour and top surface treatment. 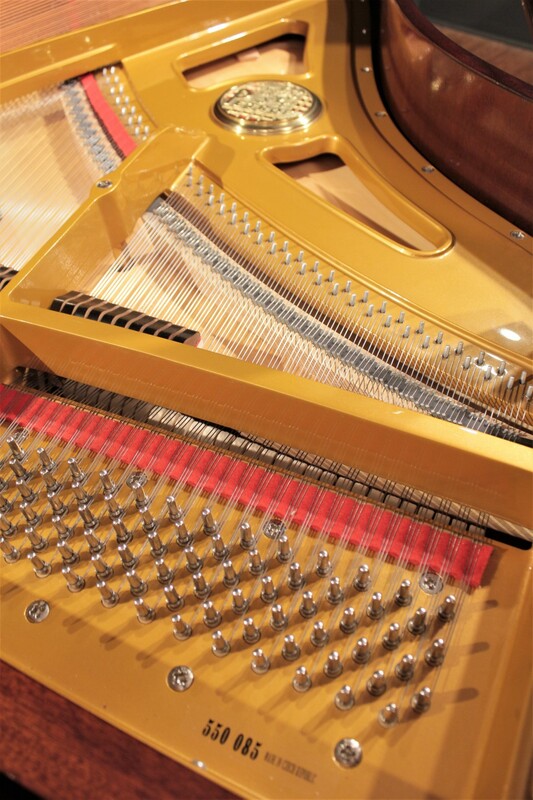 The modern elements of instrument design includes magnetically balanced action enabling correction of play weight and quick repetition in the whole key range. Therefore our instrument is able to adapt to the requirements and individual abilities of the player. 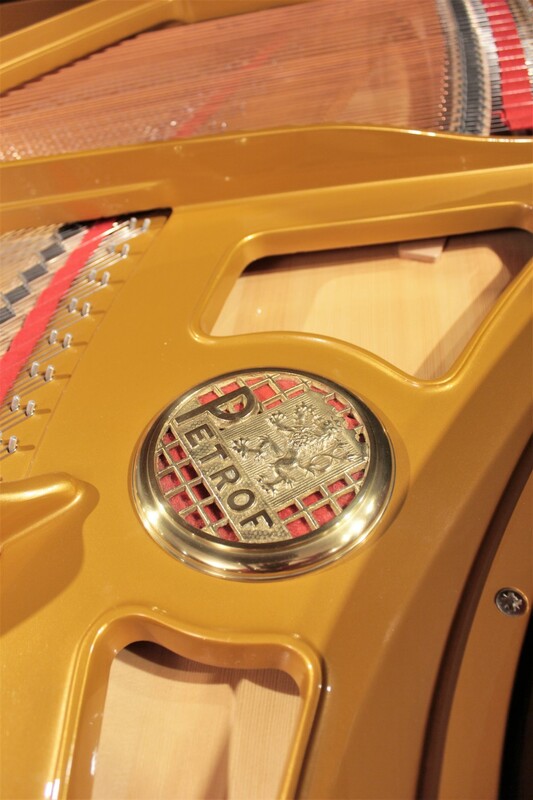 Both the demanding concert player and the budding young artist can choose their pianos in our production. 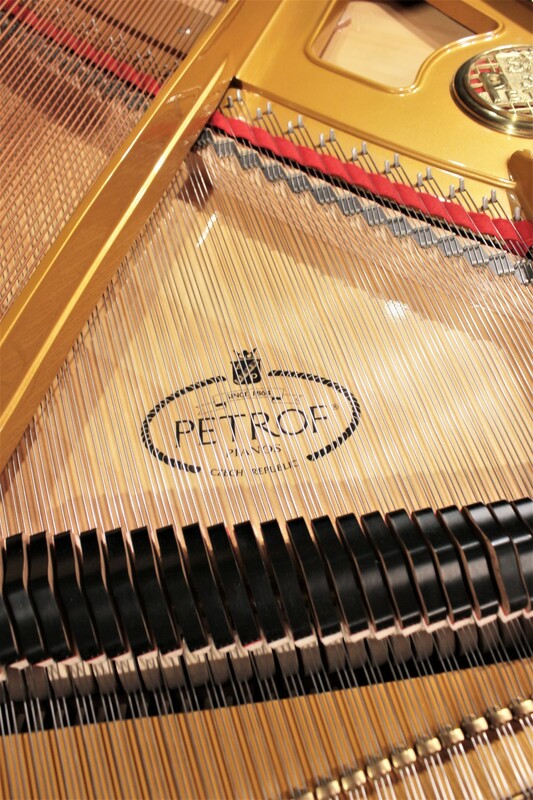 All instruments from PETROF brand are made in the Hradec Králové plant in the Czech Republic. So they are of purely European origin, which gives them the right to use the EUROPEAN EXCELLENCE trademark. 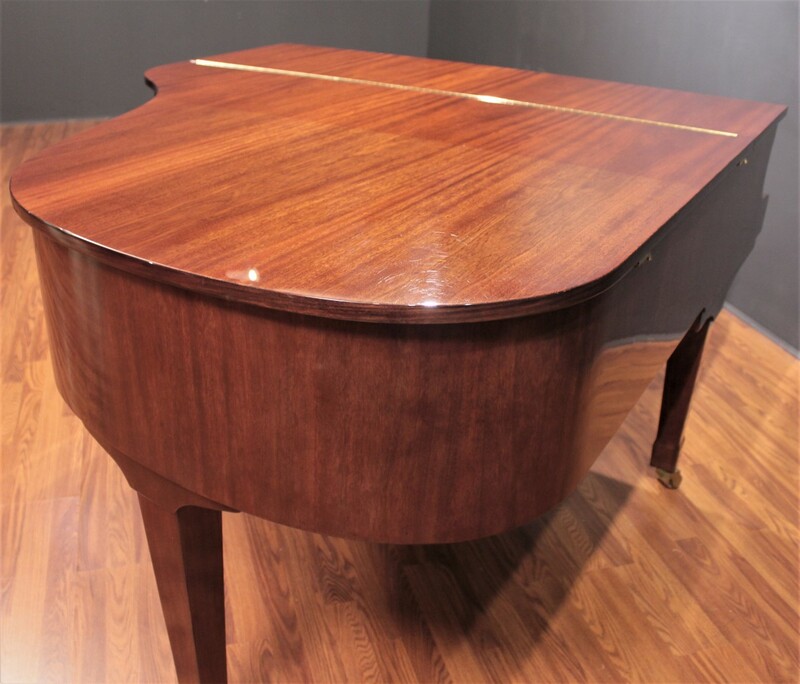 An area of the rear lid and cabinet exhibits some minor cosmetic lightening due to sun exposure; these are extremely common in wood-finish pianos and should not likely diminish the overall visual presentation in most settings.